New York: From the non-stop rhythm of New York City to the peace and beauty of the wilderness in upstate New York, we certainly don’t get bored operating within the state of New York! Whether you plan on moving down the street, to the opposite side of town, or anywhere in between, we are here for you. We’re honored to be providing our New York customers with the highest quality moving services. Both residential and commercial clients depend on us to deliver them successful moves–and that’s what we are pleased to do every single day. Those who have chosen American Movers for their moves within New York discover that moving need not be stressful or break your wallet. With American Movers in NYC, your move is expertly handled, efficient, and reasonably priced. Please contact us today so we can get started with your New York move. Businesses, families and individuals in New York demand moving services that raise the bar. And that’s what we continue to do; with our insistence on quality, we deliver our clients superb moving services, with minimal mishaps, issues, delays or hassles. Our rigorously trained movers devise the optimal moving sequencing plan for you, and expertly crate, load, deliver, and unpack your property promptly and efficiently, using some of the best equipment for the job. To guarantee yourself the smoothest possible move, there is only one company you can always rely on to deliver you the job–American Movers. Our New York clients enjoy the fact that so many dimensions of our moving services are customizable. We can do everything–from packing to installing, from junk removal to storage–or we can do just the moving for you. Whatever you choose, know that you are getting the most reliable and cost-effective moving services by choosing American Movers. We have driven miles upon miles around New York, moving people within the state. No one knows New York as well as we do, and no one can offer you a better deal in terms of quality and price. Call us today to get started on your move within New York. 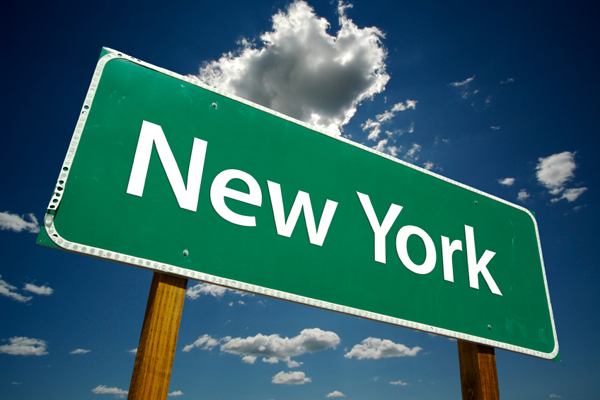 What Makes Us Stand Above the Competition When It Comes to New York Moving? Few companies can boast having the kind of experience we have in New York. We employ the most dedicated and experienced New York movers and agents, who work hard to please every single customer. Below are just a few more of the reasons why communities across New York continue to prefer American Movers above all else. Our skilled, trained movers come uniformed, friendly, and ready to move when they show up at your door. The degree of professionalism to which our movers stand up to, and the amount of work and dedication that they pour into each move yield the unbeatable results you seek. Our movers are of course licensed, bonded and insured. We are transparent about our prices form the onset, so you don’t get any unpleasant surprises down the road. There are zero hidden charges or fees, and we strive to always meet your budget and needs. Our New York clients enjoy full service moving options which include packing/unpacking, uninstallation/installation, cleaning, junk removal, storage services and more. We come to you with decades upon decades of experience. We’re communicative, attentive, courteous and skilled when it comes to handling your NY move.